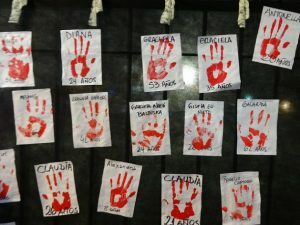 RÍO DE JANEIRO, Apr 4 2019 – Several initiatives are seeking to strengthen the fight against femicides in Latin America, a region which, despite growing popular mobilisation and pioneering legislation against gender-based murders, still has the world’s worst rates in what has been described as a “silent genocide,” says U.N. Women. (The Daily Star) – Bangladesh is on track to log in the fastest economic growth in the Asia-Pacific region in fiscal 2019-20, said the Asian Development Bank in its latest report — in a resounding endorsement of the government’s economic policymaking. The economy is expected to grow at 8 percent next fiscal year, which is the same as this year, said the Manila-based lender in the latest edition of its flagship publication, Asian Development Outlook 2019. Earlier in September last year, the ADB had forecasted that the GDP growth in 2018-19 would be 7.5 percent. But thanks to the robust private consumption, increased public investment, strong export performance and expansion in industries the ADB has revised upwards its growth forecast by 50 basis points. The higher forecast though is less than the government’s own forecast of 8.13 percent. 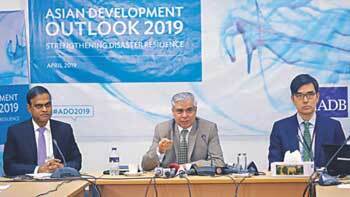 “Bangladesh’s economy is in a good shape,” said Manmohan Parkash, country director of the ADB, at the unveiling of the report at its Dhaka office in Agargaon. The country’s macroeconomic management remains generally sound. Inflation edged up slightly to 5.8 percent but remained in check. Although budget revenue underperformed its target, the fiscal deficit was well within the budgetary target. The current account deficit widened due to the surge in import demand, but it was mainly from the increase in imports of intermediate and capital goods, which will boost short- to medium-term production, Parkash said. The country needs expanded industrial base, diversified export basket, improved business environment for vibrant private sector development, expanded tax base, better revenue collection for increased resource allocation and human capital development. Soon Chan Hong, senior economist at the ADB, expressed concerns about the state of the banking sector. The high non-performing loan ratio, low profitability, weak governance, widening capital shortfall, operational inefficiency and ineffective legal framework are worrying, he said. The “Fearless Girl” statue in the heart of New York’s financial district serves as the public face of efforts to raise awareness about the importance of gender diversity in corporate leadership. WASHINGTON DC, Apr 4 2019 – Over the past decade, there has been mounting evidence that greater levels of gender diversity can have a positive impact on corporate performance and economic growth. Most relevant for investors, MSCI (American financial service provider) found that companies with strong female leadership at the board level generated a return on equity 36.4 percent higher than companies without a critical mass of women on their boards. For both economic and social reasons, there has been a surge in interest from investors about how they can encourage gender diversity on corporate boards, in the C-suite, and at other levels of management. To support these efforts, State Street and asset managers of all sizes are developing new tools that empower investors to promote gender diversity at the companies in which they invest. In March 2017, we placed the “Fearless Girl” statue in the heart of New York’s financial district to serve as the public face of our efforts to raise awareness about the importance of gender diversity in corporate leadership. This campaign, however, is about much more than raising awareness. As shareholders, we cast votes on candidates to a company’s board of directors and other important issues facing the company. Through this proxy voting process, we have voted against nominees to all-male boards that are not taking adequate steps to add female representation. In addition, we are engaging directly with companies about diversity and other thematic environmental, social, and governance (ESG) topics and publishing thought pieces to educate boards about effective pathways to increasing diversity at all levels of the organization. Since March 2017, we have called on more than 1,200 companies with no women on their boards to take action. 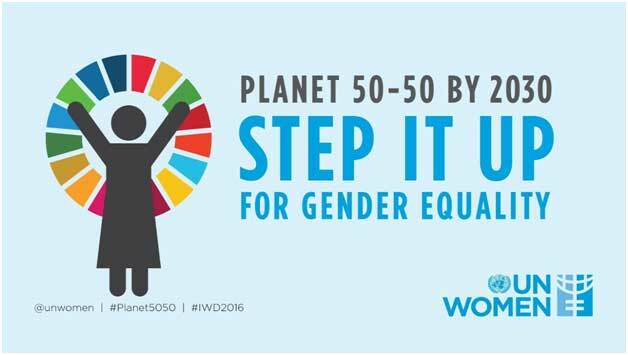 We are pleased that more than 300 of those companies have now added a woman to their boards and 28 more have committed to doing so. But we know there is more work to be done. In September 2018, we announced an escalation of our board diversity voting guidelines. 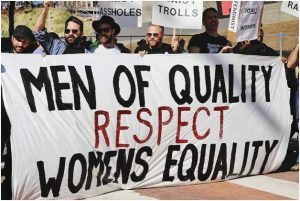 Beginning in 2020 in the Australian, UK, and US markets and in 2021 in Canada, Japan, and continental Europe, we will vote against the nominating committee’s entire slate of nominees if a company does not have at least one woman on its board and has not engaged in successful dialogue with us on the matter for three consecutive years. Why are we giving companies three years to implement changes that we believe would have an immediate positive impact for investors before taking escalated voting action? Our goal is to ensure effective independent board leadership, which involves achieving the right skill sets as well as a diversity of views. We realize that achieving this can’t happen overnight and that adding qualified candidates should be a thoughtful process that can take upward of a year. While having only one female director on a board shouldn’t be seen as the end of a company’s diversity journey, we believe that adding a female perspective to the boardroom is an important first step. The Fearless Girl campaign is about changing the mind-set of boards on diversity—moving the conversation from “Why do we need gender diversity?” to “Why don’t we have board diversity?”—and we believe that adding even a single female director helps to shift this mind-set. Diversity is a relevant issue for all companies regardless of sector, market, or size. We found that many large companies today are making a concerted effort to include women on their boards, but among smaller companies the lack of female representation on boards continues to be significant. Most boards lacking gender diversity cite a limited pool of suitable female director candidates as a primary obstacle. However, we believe that current practices for nominating directors, as well as behavioral biases that continue to undervalue the contributions of women in the workplace, are among the leading obstacles. As an example, some boards require that all director nominees have CEO experience. Fortunately, these roadblocks and biases can be overcome. One best practice commonly used by companies with higher levels of board diversity is to ensure that every candidate pool of board nominees includes diverse candidates. Also, we are calling on companies to monitor and disclose the level of gender diversity not only on their boards but at all levels of management. We believe this increased transparency will help create a stronger pipeline of qualified female board candidates. Inspired by a conversation we had several years ago with a client about how to advance the gender equity discussion and capture potential excess return from companies with gender-diverse leadership, State Street created an index that allows investors to achieve the dual purpose of impact and return. Launched in March 2016, the SSGA Gender Diversity Index is designed to promote gender diversity and harness the potential elevated returns of companies with greater gender-diverse leadership. The index can even be combined with a charitable component to contribute a portion of the advisor’s revenue to support charities that focus on science, technology, engineering, and math programs for young women. For decades, asset owners have sought to effect change by using negative screening, which means avoiding investing in companies whose practices don’t align with the investor’s personal values or companies with poor ESG ratings. Increasingly, many investors are moving beyond this exclusionary approach and embracing ESG-focused investing as a tool for potentially improving a portfolio’s risk-adjusted returns. One of the biggest barriers to ESG integration is a lack of reliable and uniform data about a company’s practices and their impact on financial performance. We believe that our stewardship initiatives calling on companies to improve disclosure about gender diversity at all levels of management should play an important role in giving investors the information they need to integrate gender considerations into their analysis of a company. We are pleased to observe the growing awareness of the benefits of gender-diverse leadership across the investment ecosystem—from asset owners to asset managers to corporations themselves. 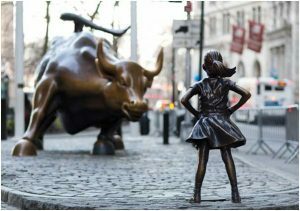 According to the Wall Street Journal, as of March 2018—the one-year anniversary of the launch of Fearless Girl—asset managers and owners controlling more than $13 trillion had joined us in making gender diversity a stewardship priority. But this is just a start. At State Street, we believe that companies throughout the asset management industry should continually look for new ways to use their expertise to further empower investors to promote gender diversity at all levels of leadership around the world. *The article was first published in Finance & Development, the IMF’s quarterly print magazine and online editorial platform, which publishes cutting-edge analysis and insight on the latest trends and research in international finance, economics, and development. 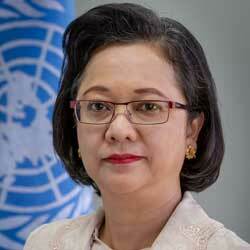 Armida Salsiah Alisjahbana is United Nations Under-Secretary-General and Executive Secretary of the United Nations Economic and Social Commission for Asia and the Pacific (ESCAP). BANGKOK, Thailand, Apr 4 2019 – Three years of implementation of the transformative 2030 Agenda for Sustainable Development in Asia and the Pacific shows the region has some catching up to do. 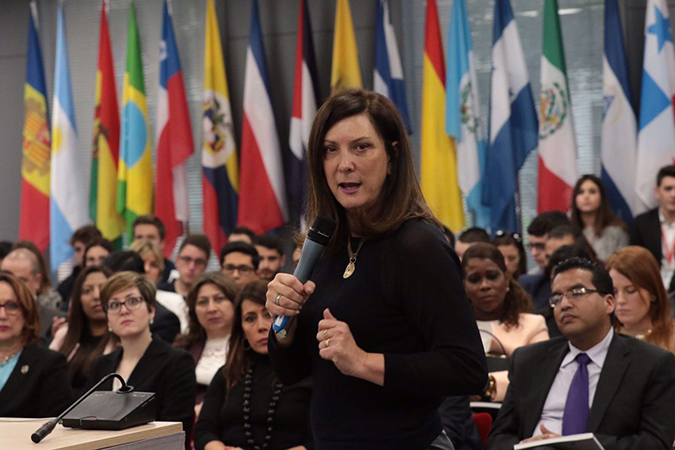 UNITED NATIONS, Apr 4 2019 – Faced with an uneven battle against right wing nationalist governments, repressive regimes and extremist groups, scores of civil society organizations (CSOs) are gearing themselves to fight back. 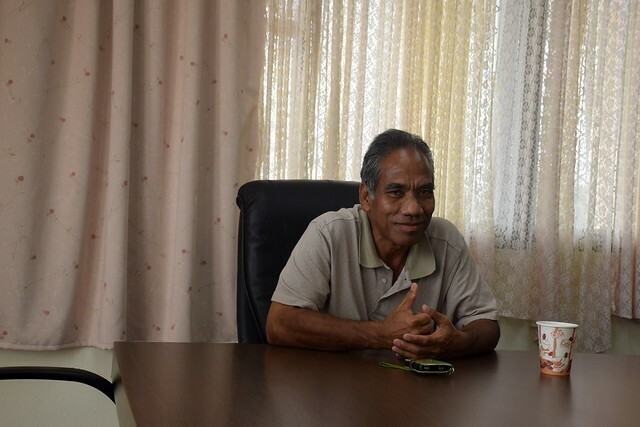 MAJURO, Apr 4 2019 – It’s a Friday morning and Dr. Ken Jetton, the only doctor who treats leprosy in Majuro, the capital of the Marshall Islands, is seeing a patient recently cured of the disease. David, 32, has received multidrug therapy (MDT) treatment for a year already. But he is back in the doctor’s office because of a reversal reaction that has occurred. David, who asks to be referred to only by his first name to protect his privacy, has a stiffness in his fingers. A carpenter by profession, the stiffness is causing David greater financial loss than leprosy did as he cannot hold the tools of his trade in his hand any longer. “This is the kind of patient I typically attend to…people who have been cured of leprosy, but have physical disability due to reversal reaction to the treatment,” Jetton tells IPS. According to authors Francisco Vega-Lopez and Sara Ritchie in ‘Manson’s Tropical Infectious Diseases’, reversal reaction is one of two distinct reactions that occur after becoming infected by the bacterium that causes Hansen’s disease, also known as leprosy. “Reversal reactions may cause acute inflammation causing rapid loss of nerve function and require prompt initiation of treatment with oral steroids,” the authors note. They also note that this reaction can occur before, during or after treatment. Dr. Arturo Cunanan, a world expert on Hansen’s disease, tells IPS that almost everyone shows some symptom of reversal reaction. However, the degree to which it presents varies from person to person. Those who are diagnosed and treated late have more visible signs of disability than those who were diagnosed and began treatment early. But Jetton tells IPS that he is restricted by a lack of resources and unable to reach out to other patients who, like David, need his services as a doctor. “It is at this stage that they need me even more because they are puzzled by this [disability] and they also suffer financially. But I cannot see all of them, especially those living in the outer islands,” Jetton explains. The physician is based in Majuro, the capital of the island nation. But Marshall Islands has 28 other atolls, where there are many active cases of leprosy reported. But while some of these islands are a short boat ride away, the others are not so easily reachable. “There is a car for our office use but I do not get an allowance to buy petrol for the car. Who will pay for the boat and the visits to the outer islands?” Jetton asks. The resource crunch seems a direct result of the decreasing budgetary allocation for health in the country’s five-year funding plans. According to government records, in 2016 the Department of Health was allocated just over 25,000 dollars for its budget. However, this year the amount was 23,000 dollars. Even for a tiny nation like the Marshall Islands, which has a population of just over 53,000, the health budget is considered small. There are reportedly 65 healthcare centres across the various atolls. And according to Jetton there are only a handful of staff managing these. While MDT is provided free by Novartis, through the World Health Organisation (WHO), there are no funds to staff a leprosy centre outside of Majuro. And the country records some 75 new cases of Hansen’s disease each year. The constraints of working with an inadequate budget goes beyond fuel allowances, Jack Niedenthal, the Secretary of Health and Human Services in the Department of Health, tells IPS. The biggest challenges of the department, says Niedenthal who took over the post early this year, are the lack of skills, capacity and infrastructure required to fight endemic diseases in the island nation. “All the staff here are underpaid and overworked. 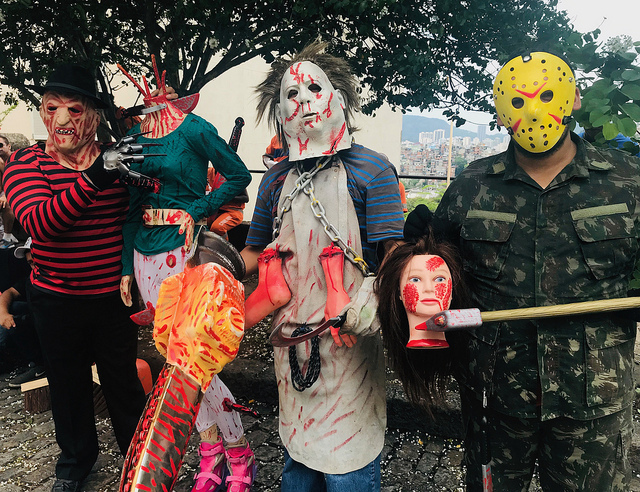 They need skill-building training, and we need infrastructure, including new facilities to detect, diagnose and treat,” Niedenthal is heard saying during a meeting with a team from the Sasakawa Health Foundation led by its CEO, Takahiro Nanri. There are several areas where the staff would benefit from further training. Data and record keeping is one of them, points out the secretary before making an appeal to international experts. “Instead of inviting us abroad, visit us here and train our staff right here,” says Niedenthal. He was formerly the Secretary General of the country’s Red Cross Society and has a strong human rights approach to health. Niedenthal’s appeal could potentially bring some positive changes as Yohei Sasakawa, WHO Goodwill Ambassador for Leprosy Elimination, and chair of the Nippon Foundation, the parent body to the Sasakawa Health Foundation, is expected to visit Marshall Islands later this month. Sasakawa, who is also Japan’s Ambassador for the Human Rights of People Affected by leprosy, and recent recipient of the Gandhi Peace Prize, is keen to understand the situation of combatting leprosy in the country and wants to extend his support to both those providing healthcare as well as those affected by leprosy here. Jetton is positive that with the help of the foundation they will be able to improve their services to leprosy patients. In the meantime he prescribes prednisolone, a drug generally used to treat reversal reactions, to David. 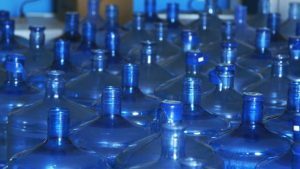 WASHINGTON DC, Apr 4 2019 – While residents across Prince Rupert, British Columbia are once again able to get safe drinking water from their taps, the boil-water advisory lifted there in late January should not be forgotten. Canada is a freshwater-rich country, but the time for complacency on essential water issues has long passed. Most people living in Canada have access to safe water. 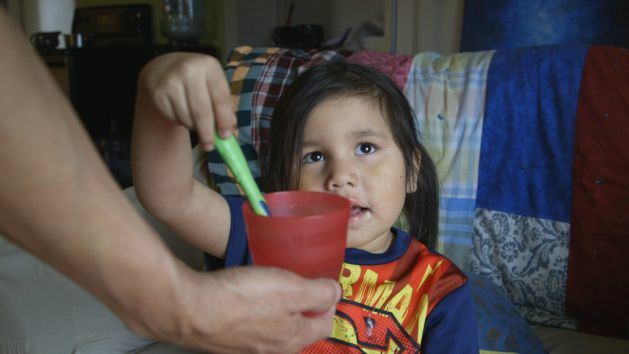 But drinking water advisories in the country about unsafe water have been concentrated in First Nation communities.